THERE ARE OVER 2,000 children below the age of 18 waiting over a year for a psychology appointment in Ireland, figures show. Figures released to Social Democrats TD Roisin Shortall from September of this year show that across the country there are close to 2,500 people waiting over a year for a psychology appointment. “That almost 2,500 vulnerable people could be left waiting over a year for such a basic service is nothing short of a scandal,” Shortall said. The figures from the HSE show that of this number, 1,895 are children aged between five and 17. There are 130 children aged between zero and four waiting over a year for an appointment. Community Healthcare Services are delivered through the HSE and concern healthcare outside of the acute hospital system. This includes primary care, social care, mental health and health & wellbeing services. The waiting times vary greatly across the different areas around Ireland. In CHO4, for example, which incorporates all of Kerry and Cork, there are 563 children between the age of four and 17 waiting over a year for a psychology appointment. In CHO6 – which incorporates Dublin south east, Dun Laoghaire and Wicklow – there are just four people in this age group waiting over a year for an appointment, by far the lowest across the country. Other areas vary in waiting times, with big differences even in the times of counties and places within the same CHO. In CHO5 – which incorporates Carlow/Kilkenny, South Tipperary, Waterford and Wexford – there are 281 children between five and 17 waiting over a year for an appointment. Of this number, 209 are living in Wexford. In the areas of south and west Dublin, Kildare and parts of Wicklow there are just 100 in this area waiting over a year – 75 of these are located in Kildare and west Wicklow. Meanwhile, in CHO2 – which oversees services in Galway, Mayo and Roscommon – there 191 people aged between five and 17 waiting over a year for an appointment – 162 of whom are in Galway. The five to 17-year-old bracket is has by far the longest waiting times out of any age group. In comparison, there are 425 18 to 64-year-olds across the country waiting over a year for an appointment, and just 25 people over the age of 65 waiting over a year. Commenting on the figures, Roisin Shortall said that the waiting times aren’t acceptable. “The waiting lists for child and adult mental health appointments are particularly shocking,” Shortall said. “This isn’t acceptable from our public health service and it shouldn’t be tolerated. 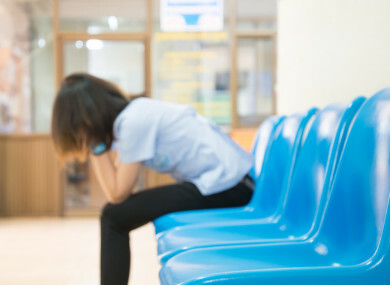 “If people are waiting over a year for public psychology services, it is extremely likely that their conditions will deteriorate,” Shortall said. Aside from the misery that people on these lists face, the longer they have to wait for treatment, the more complex and costly interventions will be when they are reached. Investing now makes sense from both a compassionate and practical perspective. The HSE said that it is currently recruiting 20 additional psychologists and 114 assistant psychologists post for primary care in 2018. Email “Over 2,000 children waiting over a year for a psychology appointment in Ireland”. Feedback on “Over 2,000 children waiting over a year for a psychology appointment in Ireland”.